India and the world might have celebrated Yoga day for the first time in 2015, but people in Portuguese have been celebrating it since 2001. Yoga day was first conceived, planned and celebrated by Amrta Suryananda Maha Raja, president of the Portuguese Yoga Confederation. He had learnt Yoga from Swami Krishnananda in Rishikesh, Uttarakhand, and later set up his institute close to Lisbon, Portugal. At the start of the new millennia in 2001, he had envisioned Yoga Day as a day of peace and togetherness. 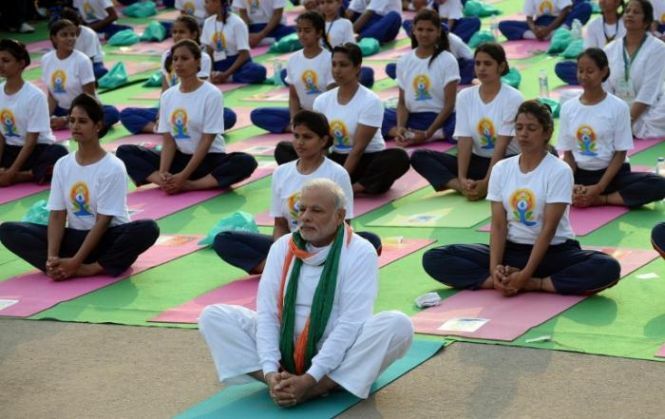 Allegedly, this idea was forwarded to Prime Minister Narendra Modi by his own Yoga instructor HR Nagendra. Vice Chancellor of Swami Vivekananda Yoga Anusandhana Samsthana, Bengaluru, Nagendra gave Yoga lessons to Modi back in 80s. After he gave Modi the idea of World Yoga Day, the PM pursued it up to the T.
Amrta Suryananda Maha Raja, according to the Facebook page of Portuguese Yoga Confederation, was given a Padma Shri in April for his contribution towards Yoga day.